Browsing through my iPhone's wine apps - of which I probably have far too many - I checked with one called Wine Steward, which is also available online, to find out what they advise as a pairing with tuna salad. Grenache gets a 100% vote of confidence from Wine Steward and is branded as an "excellent pairing." Grenache makes versatile, fruity wines. Great rosés are made from Grenache grapes, and that would be my choice for the tuna salad. Sauvignon Blanc gets 80%. If you feel the need to pair a white wine with fish, this is a great choice. Sancerre, at 79%, comes from France's Loire Valley. A Sancerre would probably be a Sauvignon Blanc as well, as that is the grape predominantly used in Sancerre. Chardonnay gets 71%. A big California Chardonnay may have the mark of oak in it, while a less buttery flavor will come from France, like a white Burgundy or Chablis. Of this last bunch - mostly labeled as "adventurous" choices by the app - I'd go with a Roussanne, a full-bodied and food-friendly white wine with a nice high acidity. If wine makes you suffer from headaches, stuffy nose, skin rash or other allergic symptoms, scientists may have found out why. The American Chemical Society's Journal of Proteome Research reports that it appears glycoproteins may be at fault. Glycoproteins are proteins covered with sugars that are produced naturally as grapes ferment. Researchers found these glycoproteins had a structure similar to many known allergens, like the kind that cause reactions to ragweed and latex. This discovery could lead to new methods in the winemaking process which would minimize the formation of glycoproteins and allow winemakers to offer hypo-allergenic red and white wines. Wine allergies are said to affect about eight percent of the population - 500 million people worldwide - but only about one percent are blamed on sulfites, which are added to wine as a preservative. The other seven percent have been a mystery - until now, according to the researchers. It may be a while before this discovery helps people who are intolerant to wine, but at least you now know someone's working on it. Avalon Winery makes two Cabs - and that has been it until recently. They say they have now released a new Merlot. There is already a Napa Valley Cab and this one, the California blend. The notes from winemaker Alex Cose indicate that Avalon mixes 81% Cabernet Sauvignon and 19% Merlot grapes from different vineyards in Mendocino, Santa Barbara, Paso Robles, Alexander Valley, and Lodi. The wine shows a restrained 13.8% abv. Aging occurs during 18 months in French and American oak with malolactic fermentation occurring there. The color of this Cab is medium dark, with light showing through even at the core. On the nose - after a swirl - the dark cherry aromas immediately give way to a cherry cola aspect. There is a slight smokiness and some spicy notes come through as well. I guessed there was Merlot involved from the moment I smelled the wine. The taste is juicy and fairly tannic. It’s nice and dry without too much puckering of the mouth. The wine is dark and earthy on the palate, with a touch of graphite accenting the dark cherry and plum fruit flavors. After a little time in the glass, flavors of cassis become the dominating profile. This is particularly true two and three nights after opening. The finish is a little shorter than I would like. The number on the Line 39 label refers to the degrees of latitude where their Lake County vineyards are located, just north and east of Napa Valley, where it’s said they make some decent wine, too. The 39th parallel also includes the Mediterranean Sea, Spain, Portugal and Italy. Maybe advertising a good neighborhood like that isn’t too bad an idea. Line 39 is a sublabel of Cecchetti Wine Co. I have tasted Line 39’s Lake County Cabernet Sauvignon, which is a surprisingly good wine. The winery’s Petite Sirah - which I stumbled across in a supermarket wine section - is made from grapes sourced in Mendocino County’s North Coast area. The wine was a real bargain - marked down from $13 to $8. The alcohol level is 13.5% abv. The color of this Petite Sirah is deep and dark, inky dark, can’t see through it dark. A very darkly tinted appearance tends to bode well for those who like big, bold flavors, as I do. The nose is rich with blueberry, and it smells dark, too. All this has me salivating as I anticipate the palate. What I find when I finally taste the wine is a rich and jammy basket of blackberry and cherry with a lot of tannins, but they certainly don’t seem out of place. It’s a dry wine, dry as dust. “So dry, the rest room would have dust in the urinals,” as the old martini joke goes. The dust, in addition to being very dry, is very dark, too. A deliciously brambly taste appears as the wine opens itself and tar notes show up on the nose. This wine is a complete delight. Liparita Cellars is what they call a “ghost winery” in Napa Valley - a winery founded in the late 19th century and still operating, although in refurbished fashion. The 1880 establishment date of Liparita more than qualifies it for ghost status. I don’t know whether or not they operate with a skeleton crew. Maybe that's reserved for Halloween. The brand has been resuscitated by owners who took over with the 2006 vintage. They now produce three Cabernet Sauvignons, from Oakville, Stag’s Leap and Yountville. This Liparita Merlot is ten years old. It’s fitting that the somewhat aged wine came from a bygone management at a ghost winery. It’s a half-bottle I picked up at a wine store sale, marked down from $12 to $6. The fruit is picked from Beckstoffer’s Las Amigas Vineyard in the Carneros sub-appellation of Napa Valley. The 2000 Merlot checks in with a manageable 13.9% abv alcohol number. A bit of the cork crumbled on removal, but I was able to fish out most of the floaties and proceed. I have read that tartrate crystals cling to the cork in this unfiltered wine, but it was definitely cork in my glass. The color is dark red, but not inky. The nose of this Merlot has tons of earthiness, with an underlying layer of dark fruit and a floral aroma reminiscent of violets. The darkness of the nose really is overwhelming. Fascinating, in fact. Upon first tasting the wine, blackberries dominate the palate and that earthy minerality follows closely behind. The tannins are quite firm and it feels big in the mouth. The acidity is wonderfully balanced and the wine leaves the palate wanting more with each sip. This is a very good wine, one of the better wines I’ve had recently. If you can find it, snap up a bottle - or half bottle in my case - and enjoy. You can add another high-end wine haven to the list in Las Vegas. The Wynn Las Vegas now boasts La Cave Wine and Food Hideaway. According to Las Vegas Weekly, it's a collaboration between Steve Wynn and restaurateur Michael Morton. Wines from around the world are selected by Danielle Price, executive wine director of Wynn Resorts, and Rober Wright, the wine director for La Cave. The article quotes Wright as saying La Cave's wine list will encourage guests to explore new and different grape varieties. La Cave also features gourmet cuisine to pair with the wine, and is open from 11:00 a.m. to 2:00 a.m. daily. The kitchen may not be open at all hours, so a call ahead of time is advised. I have yet to check out La Cave, but there are already several great places in Las Vegas where wine lovers can enjoy a glass or two. Charlie Palmer's Aureole at Mandalay Bay has Master Sommelier William Sherer overseeing 55,000 bottles in the wine tower, which is a show in itself. Emeril's Delmonico Steakhouse at the Venetian has over 1700 wine selections to pair with their great food. The Wine Cellar at the Rio offers a great, dark place to get out of the neon glow for a while. Nora's Wine Bar and Osteria is literally an oasis in a strip mall. Grape Vegas at the Town Square Mall offers plenty of affordable choices in a casual atmosphere. Christmas dinner is one of the classic American family traditions. Brothers and sisters and aunts and uncles come in from all over that place and crowd the fancy dining room to the breaking point. The stress of having everybody around can make tempers go there, too. There's no need to stress about what wine to serve at Christmas dinner, especially if you got an iPhone for Christmas. Download The Wine Steward from the app store, and you'll have no worries about which wine to serve with whatever you are serving. First, what's on the table? Let's say you're serving ham. Enter that into the Wine Steward and... Pinot Noir is the choice! Merlot and Grenache get honorable mentions, and as for whites, Albariño and Roussanne battle it out. Oddly, there is no mention of Gewürztraminer. If you're carving a turkey for the Christmas feast, enter "turkey" into the Wine Steward and...Pinot Noir again! It also likes Grenache and Merlot. For white, Chardonnay gets a mention way, way down the list, just after rosé. If your goose is cooking, Wine Steward suggests - not really a surprise - Pinot Noir. Merlot and Zinfandel get secondary nods with goose. For white wine, the app says try Roussanne or sparkling wine. Let's say you have a prime rib dinner planned. Enter that into Wine Steward and ... yeah, I know you see it coming. Pinot Noir again. Merlot and Zin get mentions too, as do sparkling wine and Albariño, although whites really don't match up too well with heavy beef. For dessert, if it's chocolate, Wine Steward says go with Merlot, Zinfandel or Pinot Noir. With pumpkin pie, Sauvignon Blanc or Sancerre. With pecan pie - that means Christmas dinner to me - Wine Steward advises good ol' Pinot Noir. So, to sum it up, the Wine Steward app on the iPhone seems to think you should lay in a case ofPinot Noir for Christmas dinner, or maybe mix a case with some Grenache and Merlot. Happy holidays! I hope whatever you're drinking over this festive season, you're drinking with family and friends. A couple of news releases recently have touted more health benefits associated with drinking wine - or at least some of the ingredients of wine. The Daily Mail reports on a study by the University of Natural Resources and Applied Life Sciences in Vienna, in which scientists say moderate consumption of red wine may help keep diabetes in check. According to the study, polyphenols found in red wine can help the body control glucose levels. The study claims a small glass of red wine contains enough polyphenols to make it competitive with anti-diabetic drugs. These results indicate moderate wine drinking plus a calorie-controlled diet could help protect against type 2 diabetes. Diabetes organizations don't seem to be jumping on that bandwagon, though. Diabetes UK responded angrily to the study, saying the bold claims were based on limited research and the calories contained in wine could lead to weight gain. This would effectively negate the benefits of the polyphenols. Another study, this one from dental researchers at the University of Rochester and reported on Canada.com, shows that drinking wine and eating cranberries can help prevent bacteria which cause cavities. The study claims the growth of Streptococcus mutans - the bacteria blamed for tooth decay - can be held in check by wine and cranberries. An ongoing Italian study also names wine and cranberries as effective agents for preventing tooth decay and sore throats. This study suggests the helpful ingredients seem to work best when removed from the wine and taken separately. The scientists figure these ingredients might make good additions to toothpaste and mouthwash. Canadian Dental Association President Dr. Darryl Smith says wine doesn't take the place of brushing and flossing in a good dental hygiene program. Each holiday season I like to throw out a few suggestions for holiday wines. Personal preference plays a big part in choosing what to drink for the holidays. My first rule of wine pairing is, “There are no rules.” As you do the rest of the year, you should drink what you like and like what you drink. If you'd like some outside help, read on. Pinot Noir is a good fit for appetizers from light cheese and crackers to veggie trays, especially those involving mushrooms. Serve it with ham, turkey and duck entrees, too. You can feel confident pairing Pinot Noir with food that's flavored with cinnamon or cloves. Cabernet Sauvignon marries quite well with blue cheese or heavy appetizers and heavy red and smoked meats. It even makes a nice mate for dark chocolate. Syrah can bring out the best in sausages, ham and salmon filet. Keep in mind that AustralianShiraz is usually more of a fruit bomb than California Syrah, which is generally fruitier than French styles. Riesling is good with fruit trays, honeyed ham, roasted veggies and seafood. A sweeter Riesling could add some festive notes during a naturally indulgent season. Sauvignon Blanc goes well with turkey and stuffing as well as many soups and garlicky foods. Beaujolais Nouveau should be served slightly chilled. Watch your guests make this drinkable fare disappear. Beaujolais Nouveau will be available November 20th. Zinfandel's hallmark fruitiness and heartiness make it a solid pick for lifting spirits over the holidays. Gewürtztraminer is aromatic and somewhat high in natural sugar, and it goes great with duck, goose and ham. In general, try to match the qualities of the dessert wine with the qualities of the dessert. Pear flavors go with baked pears, spices go with pumpkin pie, chocolate notes go with chocolate desserts. Late-harvest wines have a higher than normal natural sugar content and are the perfect sweet accompaniment to your holiday dessert, from cheesecake to apple pie. Late-harvest whites are often as sweet as nectar with tastes of peaches, candied citrus and baked apple. A late-harvest Viognier is excellent with an apple tart. Late-harvest reds usually give strong notes of chocolate and cherries. The reds make a fantastic pairing with chocolate desserts or pecan pie. Ice wines are also good as a dessert match. Sparkling wines add flair to a dessert while also enhancing the celebratory mood of a holiday meal. Look for extra-dry, sec, demi-sec or doux to indicate the relative sweetness of a sparkler. One with "Brut" in the name will tend to be somewhat drier. Champagne is the real deal, but a nice Italian Prosecco, a Spanich Cava or a California sparkler can make a festive showing, too. Ask for one with hints of spices to go with your pumpkin pie. Port is a dessert wine usually made from Syrah or Zinfandel and fortified with brandy. It goes very well with chocolate desserts, but has a higher alcohol content than most sweet wines. Denise and I love Rosenblum Cellars' "Desiree", a dessert wine made from fortified wines of Zinfandel, Touriga Nacional and Syrah grapes, then blended with a chocolate syrup. Needless to say, it's quite decadent. Most dessert wines are best enjoyed in smaller servings, hence they usually come in half-size bottles (375 ml). Accordingly, you should serve dessert wines in small glassware. One great way to expand your palate and your knowledge of wine is to go to a winery tasting room. Sometimes, though, the winery can come to you. Jerome Winery and Bitter Creek Winery in Jerome, Arizona each have a tasting room. They also offer a home tasting event they call an Educational Wine Tasting Experience. You buy a case of their wine, they bring it to your home, they bring glasses if you need them and stage the tasting event for you and your guests. They can accommodate anywhere from ten to 200 people, whatever number you can accommodate in your home. Winery representative Marge Black-Graziano says it works best for ten to 30 people, but the guest list is entirely up to you. All the guests should bring a dish to share, then sit back and let the winery do the rest. They introduce the wine and talk a little about what kind of grapes are used in it and what goes on in the growing and winemaking process. They educate your party on how to taste wine, talking about the different aromas, the coloration and why we swirl the wine in the glass. That is done, of course, to expose more of the wine's surface area to oxygen, thereby releasing the aromas and even changing some of the characteristics. Between the two wineries, there are 52 grape varieties they can offer. Jerome Winery handles single variety wines while Bitter Creek Winery specializes in blends. Marge Black-Graziano is the matriarch of the winemaking family that runs both outfits and she says either winery can bring a lot to the table - and they can bring it to any table you like. You can contact Jerome Winery at 928-639-9067 or e-mail them at info@jeromewinery.com. Coquelicot – pronounced "ko-klee-ko" - is the name of a brilliant red poppy found in the French countryside. It is also the name Bernard Rosenson gave to his estate vineyard of organically-grown grapes, and the corresponding winery. Rosenson became acquainted with the beautiful flower while growing up in France. On the wine's label, he even asks, "Who's your poppy?" Rosenson's partner-in-wine is Louis Van Tonder, who oversees the vineyard and the winemaking process for Coquelicot. The winery's tasting room in Los Olivos is French countryside charming. That's where I purchased the half-bottle of Slow Hand for around $25 about a year and a half ago. It took a while to get around to opening it, and it was worth the wait. Slow Hand is a half-and-half blend of late harvest Chardonnay and late harvest Riesling. Its 12.5% abv leaves plenty of room for the sweetness expected in such a marriage. On the nose, the smell of over ripe fruit is overwhelming. If you ever spent any time as a child playing in the summertime around a fruit tree, you know what to expect. The taste is that of baked apples, apple custard, and raisins. It's a very viscous drink that really fills the mouth well. If the acidity were a little higher, it would be perfect. However, it's hard to complain about a wine as good as Slow Hand. Los Angeles fans of Italian wines have a great place to find the fruit of their passion and some pretty tasty eats, too. Cube on La Brea Avenue is a cafe, a wine bar specializing in Italian vino, a cheese bar and a market all rolled into one location. We stopped in there for lunch during a break in a hectic shopping day. The place with the "What's Up D.O.C." sign above it was once again the right choice. We opened with a couple of cheeses - Holzhofer (a strong cow's milk Swiss) and Smokey Blue (a delightfully pungent cow's milk blue cheese from Oregon.) I followed with the braised bacon on polenta. The "bacon" was more like slow-cooked pulled pork, only a hundred times more flavorful. The wine - Luzzano's "Seta" Malvasia - is made from 100% Malvasia di Candia grapes grown in the Colli Piacentini D.O.C. of Italy's Emilia-Romagna region. It is aged six months in stainless steel. The price is an affordable $9 per glass and the bottle price (to take home) is $16. The Seta's nose is quite green. Mostly floral aromas with an herbal twist are laced with a bready, yeasty edge that's amazing and intriguing. Minerals and zesty lemon lime abound on the palate. There's definitely a steeliness there, but it flies in the face of the full, round mouthfeel. It paired with both cheeses well - better with the Holzhofer - and was a near-perfect mate for the savory bacon dish. A recent article in Wine Business.com, by Sonoma State University wine business professors Liz Thach and Janeen Olsen, cites the dramatic growth of organic food and beverages while wondering aloud, "Is organic wine growing by leaps and bounds, too?" That's hard to say. The article goes on to explain that organic wine labels don't make it easy for consumers to buy "green," and further make it difficult to track consumer trends. The Wine Business Institute at Sonoma State did some research on the matter. The findings show that consumers of organic wines say they are willing to shell out a few extra dollars for wines they feel are eco-friendly. Wine consumers in general seem confused by all the terminology used in labeling organic wines. Terms like "100% organic," "biodynamic" and "sustainable" leave consumers unsure of which wines really are organic. The study recommends the wine industry should try to create a system of terminology that is less confusing. 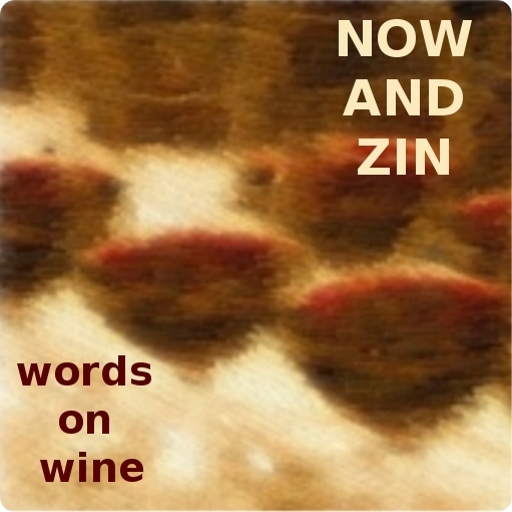 The authors close the article by asking, "In ten years, will all wine be sustainable anyway?" We'll find out in a decade or so. The onset of cold weather makes many wine lovers turn their attention to Port wine. You may know Port only as something to "take the chill off," so here's a little bit of information about Port wines. Port is a sweet wine, with an alcohol content higher than most table wines, higher even than many dessert wines. Port is commonly used as a dessert companion or dessert itself. It pairs quite well with cheese, especially blue cheese. The only place Port, or Porto, can be made is in the Douro Valley in northern Portugal, much like Champagne can only come from Champagne, France. There are many areas around the world which produce Port-style wines, though. Port is produced by fortifying wine with neutral grape spirits. It's often said that Port is fortified with brandy. That is often a mistaken notion. The fortification creates a higher residual sugar and alcohol level. Port wine generally has an alcohol level of 18% to 20%. There are five grape varieties which are widely used in the making of red Port wine - Touriga Nacional, Touriga Francesca, Tinta Barroca, Tinta Cão and Tinta Roriz, which is also known as Tempranillo. That's the only non-indigenous grape used in making Port. White Port is made from white grapes - Donzelinho Branco, Esgana-Cão, Folgasão, Gouveio, Malvasia Fina, Rabigato and Viosinho. Grapes used in making Port are regulated by the Instituto dos Vinhos do Douro e Porto. Port wine made in other areas may be made from many different grape varieties. Tawny Ports are Ports which have been aged in wood barrels for ten, 20, 30 or even 40 years. Popular brands of Tawny Port include Dow's, Graham's and Taylor's, which are seen on many restaurant menus. Roxo Port Cellars of Paso Robles, California makes nothing but Port-style wines. They utilize Bordeaux and Italian grape varieties as well as traditional Portuguese varieties. Ficklin Vineyards in Madera, California makes a Tinta Port, a Tawny Port, a white Port and vintage Ports. Their Port-style wines have won numerous awards and generate tons of good press. The Beaulieu Vineyard Maestro Collection Port 2006 employs traditional and non-traditional varieties: Touriga Nacional, Charbono, Tempranillo and Petite Sirah. From California's Santa Ynez Valley, Bridlewood offers a Syrah Port 2006. Listen to these descriptive words from the the winemaker: "heady aromatics of blackberry, cassis and licorice…notes of strong dark chocolate with hints of pecan, tangerine peel and earth…luscious licorice finish." Paso Robles' EOSZinfandel Port 2006 sounds like it was made with the holidays in mind:"...aromas of molasses, roasted walnuts and maple syrup fill the nose....nutty characters glide across the palate with essence of plums andespresso...spiciness, cedar, and cinnamon linger on the ... extendedfinish."